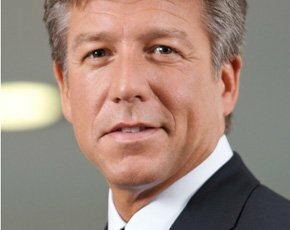 SAP CEO Bill McDermott declared the company to be “digital” and made “empathy” the watchword of his opening keynote at Sapphire 2015. The company has announced what it calls “new digitally native offerings, built for immediate personal consumption via a new online purchase experience”. “For 43 years SAP has helped organisations around the world become best-run. Our digital business will bring the power of SAP technology to individuals, using the simple approaches they're already familiar with to their personal lives,” said McDermott (pictured). “Every business is in a state of transformation. In 2014, we talked about Run Simple. Today we’re giving the roadmap for that. “90% of the data in companies is dark. We have to digitise the core operations [to change that],” said McDermott. SAP appointed its first chief digital officer, Jonathan Becher, in late 2014 to oversee its SAP Digital business. Read all the coverage on the SAP Sapphire Now 2015 conference. Discover how to get the most out of SAP software through the coverage of 2014 Sapphire. SAP executives promote Hana as a platform during the 2013 Sapphire event. McDermott stated that, to continue evolving the company, SAP Hana must take the role of “digital data platform”. The S/4 Hana iteration of its core enterprise resource planning suite puts the in-memory database platform at the heart of what most organisations understand SAP to be. S/4 Hana has around 400 customers, with McDermott claiming “it gives you the perfect enterprise platform”. Customers can now, with the "digitally native" services, buy from SAP on the web without the need for a purchase order or invoice. The company also used the opening keynote to bring attention to its business intelligence and data visualisation software Lumira, which competes with Qlik and Tableau. David McCandless, author of Knowledge is Beautiful, is due to show a visual interactive for the internet of things (IoT) at the event. A version of this visualisation will be ported into SAP Lumira to enable live interaction with the data. The supplier said there have been more than 500,000 downloads of the free version of Lumira software. The Lumira development team has, SAP said, improved the “governed data discovery and agile visualisation” aspects of the software. It has also added “big data discovery and data wrangling with Hadoop, helping users to access, prepare and mash with traditional data sources”, such as SAP Business Warehouse (SAP BW). Other “digitally native” products and services announced were SAP Digital for Customer Engagement, a simplified cloud customer relationship management (CRM) system for individuals and small teams. Another was SuccessFactors Perform & Reward, a talent management bundle for smaller divisions and businesses with fewer than 500 employees.